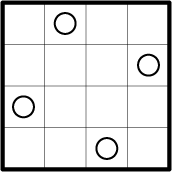 Does there exist a 6x6 masyu puzzle with one black pearl in each row/column (without any white pearls) which is uniquely solvable? 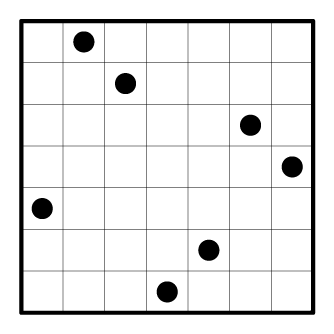 What about for 7x7 grids? 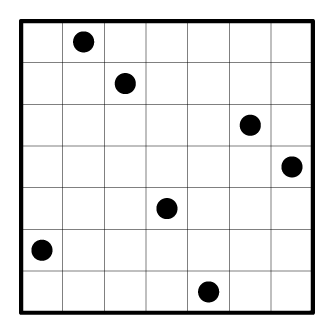 In fact, what is the smallest N such that there exists a uniquely solvable NxN grid? As my coding skill is only slightly past the stone age, it took an embarrassingly long time to hack together code snippets from stack exchange answers to make a batch script that would write a text file for every permutation that would be properly formatted to be evaluated by Naoyuki Tamura's Masyu solver. I had to convert the space delimiters in my permutations list (permutations.txt) to newlines, which was easy enough with Notepad++. Obviously, it would have been ideal to structure it as nested for's, but batch is weird about variables in for loops and I could never get any variable references to work. Perhaps someone who knows more about batch scripting can come up with a better solution, or suggest what coding environment I should have used. I then searched the report for the string "NumOfSolutions = 1" and rendered all of the results that weren't reflections and rotations of previous results, of which there were the two above. I tried 5x5, but found there were no grids that would produce a unique solution, which leads me to believe that 4x4 is the only grid size that could produce a unique solution with white pearls. I'm curious about the upper limit of the grid size for black pearls. This would certainly require that I figure out some way to pare out all reflections and rotations from the permutation list, which would then leave me with 45360 permutations for a 9x9 grid (as 8x8 has already been proven). 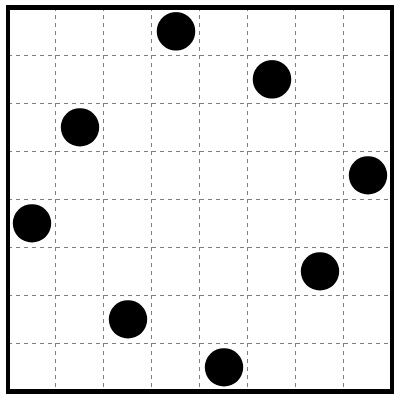 The solver usually finishes smaller grids in about 1 second. If this is true for 9x9 grids, it would take at least 12 hours to go through all unique 9x9, but I estimate it could easily take double that.